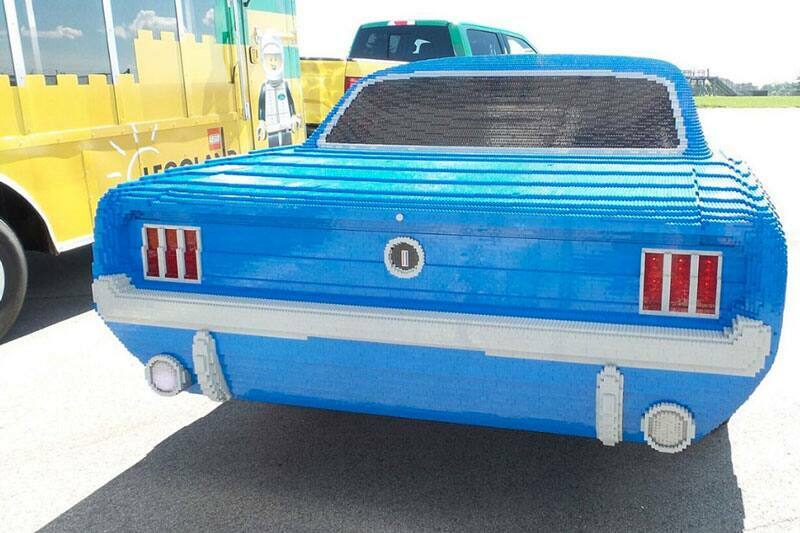 A life-size 1964.5 Lego Ford Mustang replica has been created and will be on display at LegoLand Florida. What you’re looking at here is 194,900 Lego bricks. 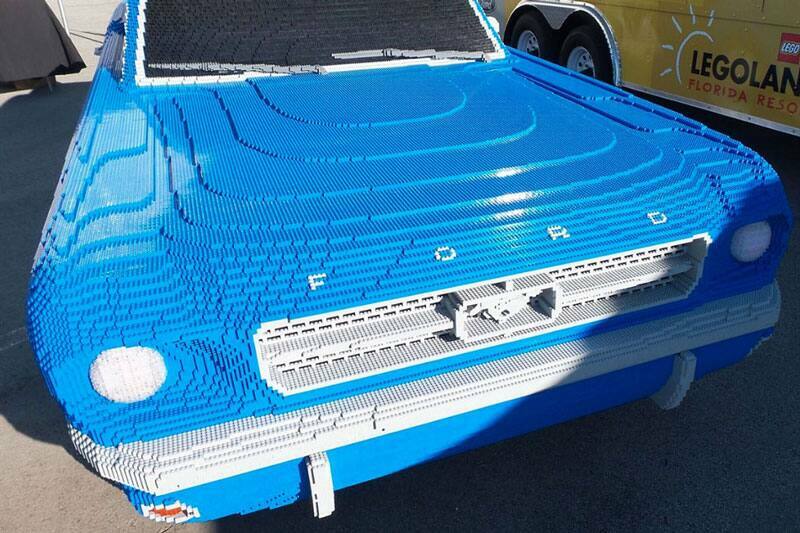 The pieces were constructed to recreate this life-size 1964.5 Ford Mustang V8 coupe, making it the latest and possibly greatest attraction at LegoLand Florida Resort (so far). It was built as part of a partnership between Southern Ford Dealers and Lego, and will have a permanent home outside of the Ford Driving School attraction at the park from here on out. The car measures in at 15 feet long, six feet wide, and more than four feet tall. It weighs a total of 1,712 pounds — 960 of which are pure Lego and Duplo bricks, while the other 752 is a flat, aluminum “chassis” designed specifically for the build. It was created by a veteran team of Master Builders at Lego Systems, Inc., in Enfield, Connecticut, and was first introduced at the Indianapolis Motor Speedway during the 40th anniversary celebration of the Mustang Club of America early in September. The Mustang build will replace a full-size Ford Explorer Lego creation that was first introduced to the park in 2011, and will come with a few new features never before seen on a Lego build of this caliber. Under the hood is a virtual horn, as well as a speaker that emits the sound of a real Mustang V8 engine. Even the headlights and taillights work, though, you won’t be able to drive it… as much as we wish you could. The finishing touches like the badges, grille, and wheels were done in a way that perfectly mimics the iconic original. It even wears a shade of blue that honors the original color scheme. It’s an amazing build, and can be gawked at by fans at LegoLand Florida Resort for years to come.